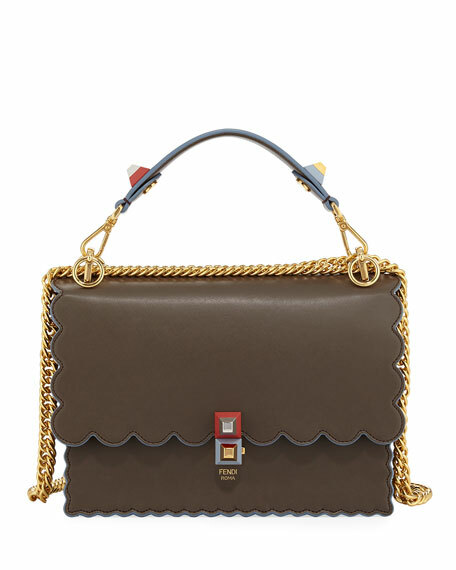 Fendi leather belt bag with removable multi-functioning features. Tools include phone slot, card slots, lobster clasp and key chain. 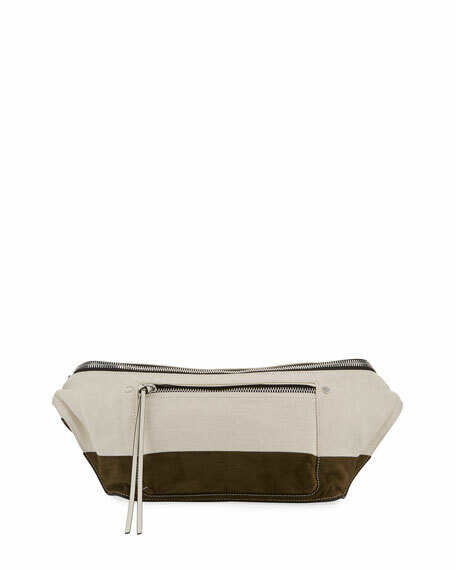 Rag & Bone canvas and suede fanny pack/belt bag. Adjustable strap worn at waist, 17" drop. 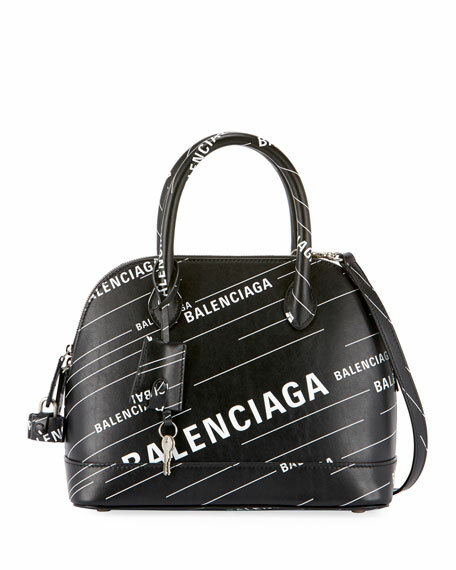 Zip-around top closure. Exterior, front zip pocket. Interior, linen lining; card slot. 7"H x 16"W. "Elliot" is imported.